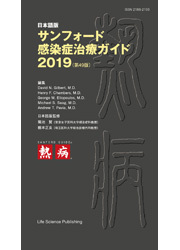 【編 集】 David N. Gilbert, M.D. ／Henry F. Chambers, M.D.／George M. Eliopoulos, M.D. ／ Michael S. Saag, M.D.／ Andrew T. Pavia, M.D.